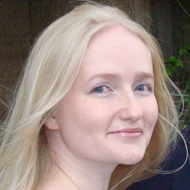 Dr Laura Ashe works on the literature, history and culture of England during the High Middle Ages, c. 1000-1400. Her research has been focused on the multiple languages of English literature after the Conquest – Latin, French, and emergent Middle English – and on the social, political, legal, and cultural developments involved in this time of great change. Her first book, 'Fiction and History in England, 1066-1200' (2007), was a study of the emerging ideologies of English national identity, the genres of romance and chronicle, and the colonial discourses of the English in medieval Ireland. She co-edited 'The Exploitations of Medieval Romance' (2010), and has written a variety of articles on the birth and development of the romance genre in England and France. Her current major project is volume one of the new 'Oxford English Literary History (1000-1350)', which aims to give meaningful shape and coherence to a relatively under-studied, but important and complex, period of literary history. Other more disparate projects include co-editing a cross-period volume on war and conflict, and writing various papers on crusading and chivalry, language and multilingualism, and early modern reflections on medieval and mythical history. ‘Holinshed and Mythical History’, in The Oxford Handbook of Holinshed's Chronicles, ed. Paulina Kewes, Ian W. Archer, and Paulina Kewes (Oxford: Oxford University Press, 2012), 155-71. The Anomalous King of Conquered England’, in Every Inch a King: Comparative Studies on Kings and Kingship in the Ancient and Medieval Worlds, ed. Charles Melville and Lynette Mitchell (Leiden: Brill, 2012), 173-93. ‘Killing the King: Romance and the Politicization of History’, in Think Romance! Reconceptualizing a Medieval Genre, ed. Katherine C. Little and Nicola McDonald (publisher tbc, 2014), forthcoming. 1 Why should we study Chaucer?